Self-published books are always a bit of a mystery to begin with. I have read good ones and I have read really awful ones. I almost always accept a self-published novel if an author requests a review, because I am convinced there are still a lot of undiscovered gems out there. Books that deserve as much attention and praise as a published novel that gets a lot of publicity through the publisher. So that’s one of the main reasons I accept self-published books (a lot of bloggers don’t accept them), because I want to find those really good ones living in the shadow of all the popular books. 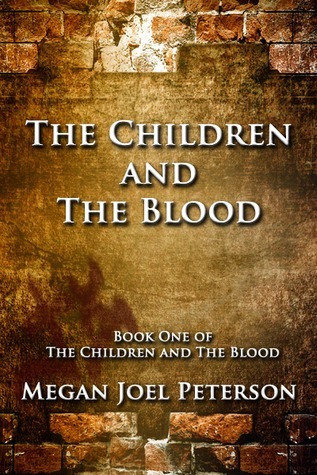 I had read a sample of “The Children and The Blood” before accepting and the first two chapters instantly caught my attention. They were well written and I was interested in how the story would continue. Those first two chapters were a good representative for the rest of the book. 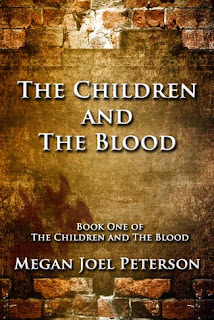 Fast-paced, action-packed and imaginative are just a few words I can use to describe “The Children and The Blood”. I thoroughly enjoyed it and read it in almost one sitting. The vibe I’m getting from this book has a bit of “I am number four” in it. The fire, the battles, the chasing and running and hiding. It gave me the same sensation as Pittacus Lore’s story, though I didn’t enjoy “I am number four” quite as much as I did “The Children and The Blood”. The pacing is solid, there is never a dull or slow moment, the storyline keeps moving forward throwing us from scenes full of action to more strategic discussions or bits of information about the different supernatural groups inhabiting Peterson’s version of the USA. This all makes this book a fast read and one that will keep your attention on every single page. The story itself isn’t new but it has a lot of unique elements and original perspectives that transform this Fantasy novel to a really interesting read. The different groups of wizards and who can sense/see who, along with who’s on who’s side, make this a complex, but still understandable story with a lot of variation and tension. As I said before, it never gets dull. There’s always a surprise (not always a pleasant one, mind you) around the next corner and the characters face difficult situations and choices that keep you flipping the pages. The main characters are well developed and a great contribution to the story. Peterson divided her book in chapters of different characters. There’s Ashley, Cole and a police inspector investigating the murder of Ashley’s father. They all go their separate ways and show different sides of the story, giving the reader a more diverse and widespread story to read. The most important thing is that I started caring for the characters and what happened to them. I started rooting for them, hoping they wouldn’t get hurt and that they could reach some safety somehow. If an author can accomplish that, he/she has scored a point on my checklist. The secondary characters are fleshed out just enough to make you care about them too, certainly because most of them mean a lot to the main characters. We don’t know their whole story yet and we only get to see their personality gradually along the way, but that didn’t bother me at all. The things we did get to know about them were a good addition to the story, and that’s all I need. Conclusion: very good! I enjoyed reading every chapter, every page and the writing was, aside from some minor repetitiveness in phrases, really well done. Sick of all the lovey-dovey YA novels? Want something full of action and with an imaginative story? Do you like a good “on-the-run” story? Then you should definitely give “The Children and the Blood” a try!